there are some heroes who do extraordinary things to save others. a few weeks ago, the model heidi klum rescued her seven year old son henry from a riptide off the coast of the hawaii island where the family vacationed. i would jump right in the water too if my son’s life was in danger. . . of course, i wouldn’t look as great! there are heroes who face “chronic” or longterm adversity and yet they endure. 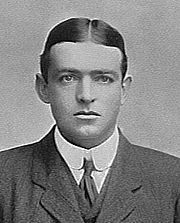 the anglo-irish explorer ernest shackleton led three expeditions into antarctica. the middle expedition–named the imperial trans-arctic expedition–was sidetracked by its ship endurance being grounded. from 1914 until 1917, shackleton devoted himself to rescuing his crew. without any loss of life, he managed to bring back his crew and cement his heroic status. and then there are heroes like my facebook friends geoff and dot fox who are heroes by example. they have endured shackletonian reversals of fortune (as have many people in this dire economic era). . . they have downsized from a winnetka home just down the street from where i live and they have suffered a business loss. the fox family owned l & a stationery in winnetka. 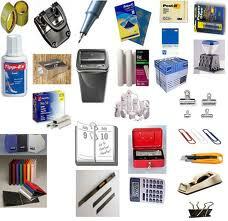 the shop sold wedding invitations, cards, school supplies, office equipment. it’s hard to remember in this era of evite and ipad minis that there was a tangible beauty in the smell of a freshly sharpened pencil or the delight in running a finger across an engraved invitation. this saturday, i invited the foxes to go with me to a kids against hunger food packing event. the foxes arrived with son jon (who doesn’t have a facebook account as near as i can tell unless he’s blocking me just for fun!) and they worked for two hours to pack nutritious meals to be shipped to nicaragua. there was no reward, no interview on the today show, no wikipedia entry for them. the weird part is that if we packed lunches as a job for pay i don’t think we would have had as much fun! This entry was posted on Sunday, April 14th, 2013 at 4:38 pm	and tagged with facebook, heidi klum, heroes, kids against hunger, shackleton, stationery, volunteering and posted in Uncategorized. You can follow any responses to this entry through the RSS 2.0 feed.